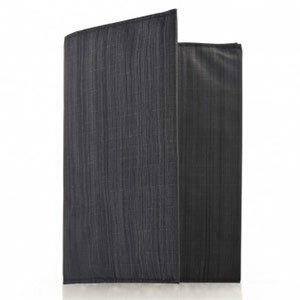 The Allett Ultra Slim Original wallet is so thin that you can hardly feel it in your pocket. Has all the slots and folds one needs for cash or credit cards. Recommended for all outdoor activities due to its light weight and slim nature, but be careful not to have cards fall out. 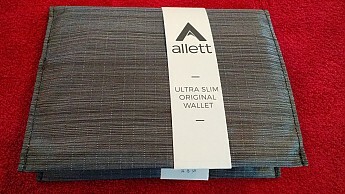 I received this Allett Ultra Slim Original wallet as a trial for test and review from the manufacturer. 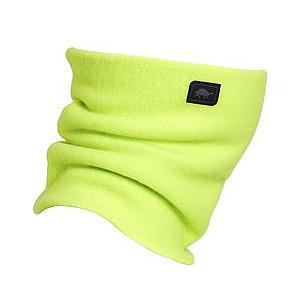 It is minimally stylish but considering its use during outdoor activities that is not an issue for me. 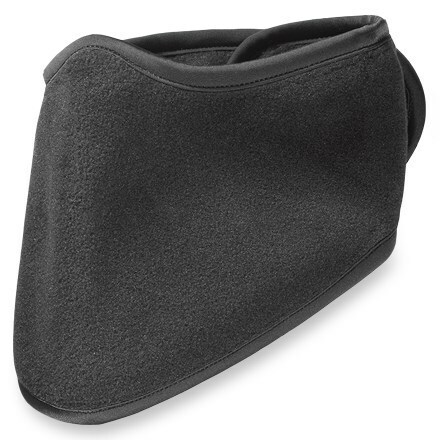 It has four slots for credit cards, pictures, and business cards and each can hold multiple items. I like how they are oriented so that when the wallet is closed the cards cannot get out accidentally. 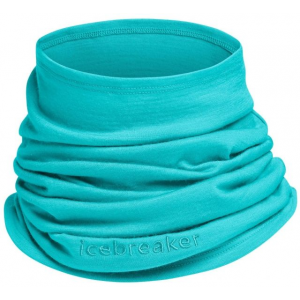 It is nearly imperceptible in your back pocket which is good and bad. I am often worriedly patting to make sure it is there, it is that light. I don't like a thick wallet in my back pocket as it is uncomfortable while sitting so I have adopted this wallet for everyday use. 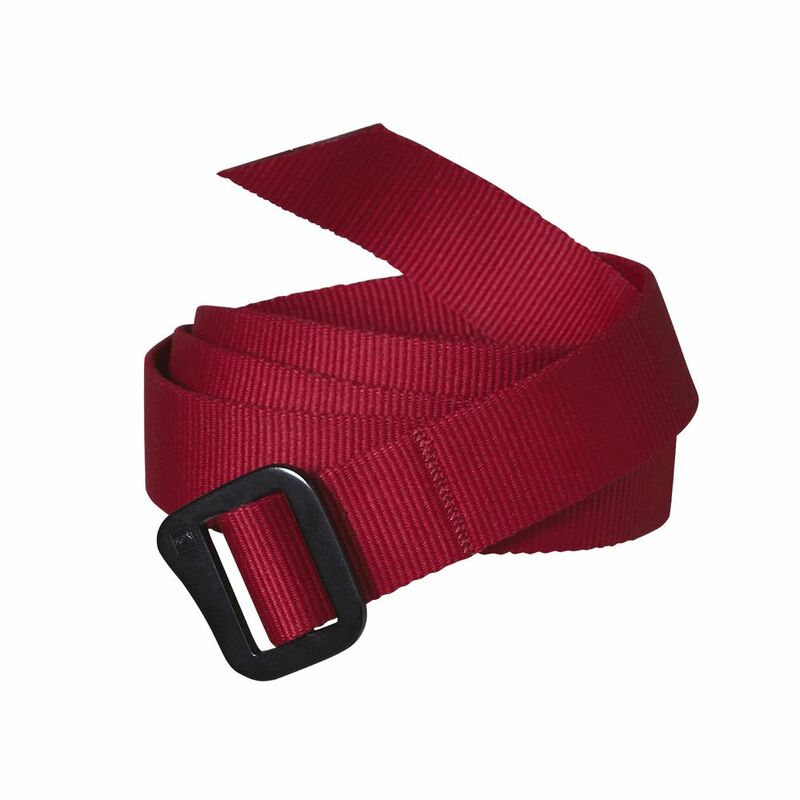 The nylon fabric is very light and durable and is water resistant, although I have not exposed it to water. 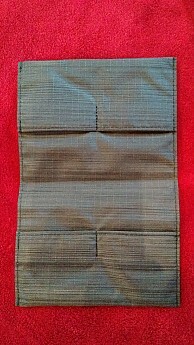 The rubber grip pockets seem to hold the cards but I am anxious about that so I am very careful. Love that they are made in the USA. 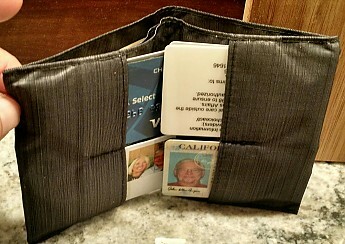 The wallet has separate slots for cash and receipts that is very helpful for organizing. It only weighs 0.6 ounces and is 3¾” x 5″ x ⅛” (9.5cm x 12.7cm x .3cm) and is able to hold euros, dollars, yen, pounds and many other international currencies. 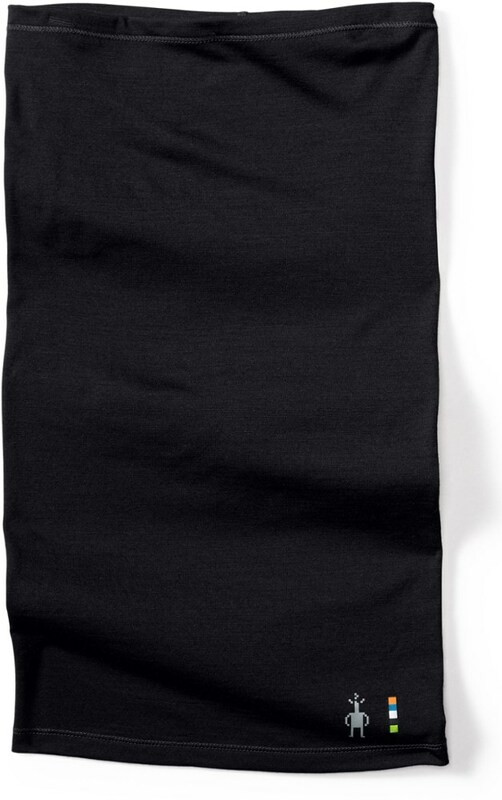 $19.95 on the Allett website. 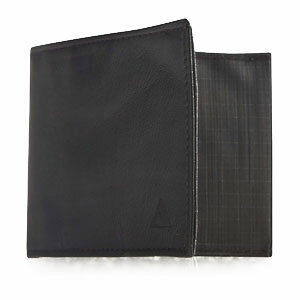 The Allett Ultra Slim Original Wallet is not available from the stores we monitor.